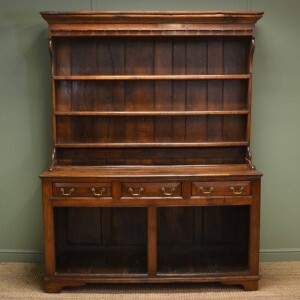 Dating from Around 1870 In the Victorian Period, This Large Painted Antique Dresser Base is truly stunning and provides an adequate amount of storage. 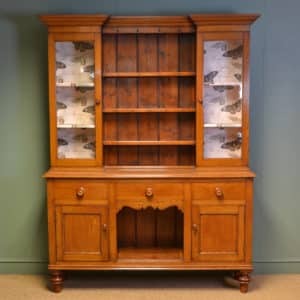 Dating from Around 1870 In the Victorian Period, This Large Painted Antique Dresser Base is truly stunning and provides an adequate amount of storage. With a chunky top with half round moulded edge above three frieze drawers and four longer moulded drawers with black porcelain handles. 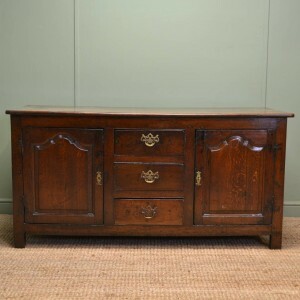 It has beautifully carved corbels and stands on turned bun feet. 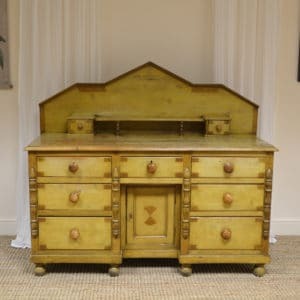 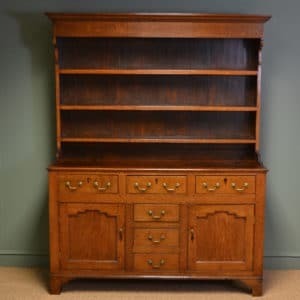 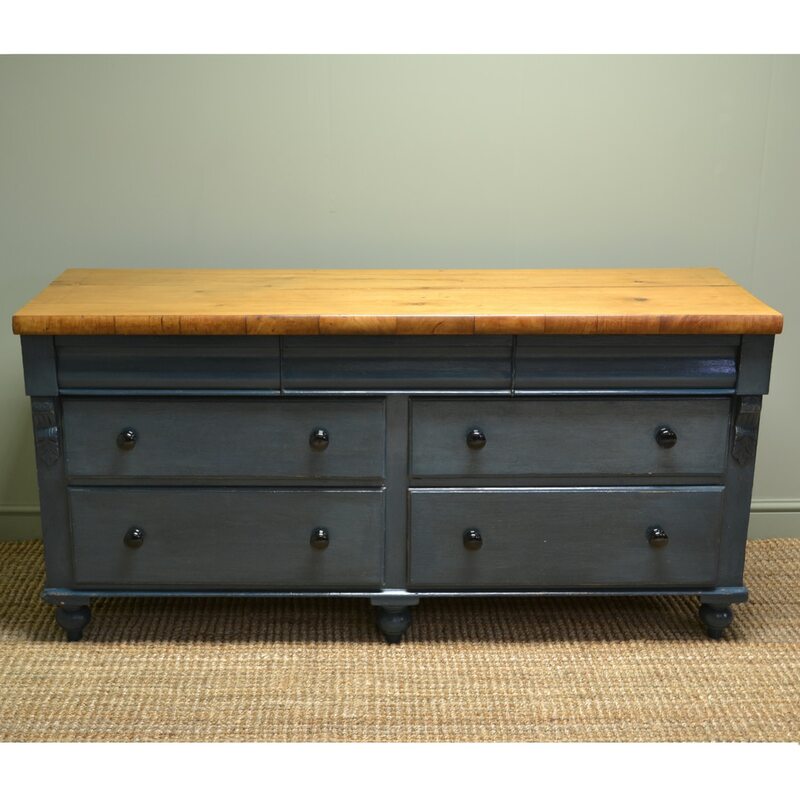 This wonderful dresser base has a super country feel and has been beautifully cleaned and waxed to achieve this wonderful look.